Hi everyone, it’s Diana Paz, one of Dana’s critique partners. ~waves hello~ Dana was kind enough to let me guest post today... you can still see what she’s up to even though she’s not here, because she’s my guest blogger today! We’ve blog swapped! I’ve never guest blogged before, and I hope I don’t derail her blog completely with my overuse of exclamations, run-on sentences, and the five-thousand other writing no-nos I always do. My posts are a tad...random, shall we say? For Dana’s sake, I’ll try to keep things together today. No craziness. Limited exclamation points. And definitely no asterisk actions. *nods firmly* *realizes her mistake* Okay except those. Dana and I brainstormed topics for each other’s blogs and I was really going to blog about the Ten Things I’d Learned Since Finishing My Novel, I reeeeally was, but well... I didn’t. *whispers* And I’m the one who came up with that topic. *whispers even more quietly...* I whispered those asterisk actions so they wouldn’t be as obvious. The truth is, I couldn’t come up with ten awesome-enough things I’d learned. I mean, by the seventh thing my brain was like, Really? You learned that?? That doesn’t even make sense. Learning stupid things is nothing to brag about. So yeahhh. New idea time!!! 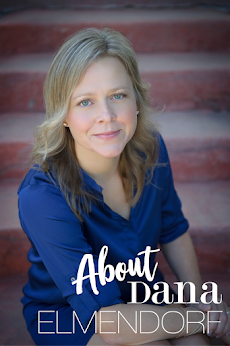 And the New Idea circles around Dana, being that she’s my critique partner, and how having a critique partner you can trust is vital in the writing process. But trust works in stranger ways than you might think. Writing is personal. But writing for publication means making that personal part of our life into something public. And not only that, it also means a shift in thought, because that private, personal thing-- your writing-- must be sold. A good critique partner is just that-- a partner. He or she is there for you, helping with plotting and character development and getting to know all the ins and outs of your novel. But the critiquing component of the partnership can’t be underscored enough. Your critique partner didn’t agree to simply read your work, or even to love your work, but to critique it. That’s a whole new level of trust. But your critique partner might be cheating! If something in a story isn’t as great as it could be... if something doesn’t sound quite right coming from that character... if something is off and a critique partner doesn’t mention it, that writer has been cheated. She lost an opportunity for a stronger book. She doesn’t even get the chance to agree or disagree, and that keeps the novel from growing. Moreover, it keeps the writer from growing. The decision to make changes is ultimately the writer’s. No matter what, it will be the author’s name on the book, so the author must make the ultimate decisions about their story. But by not bringing something up that could be made better, a critique partner counteracts the trust of a critique. That critique partner, maybe out of love, has cheated. When it comes to Dana and I, whether or not I don’t agree with something Dana points out in a critique, I think about it. I consider it and mull it over, and perhaps in the end I realize she was right. Or maybe in that particular scene it wouldn’t be a good change. No matter what, thought is what fuels the process. I’m a better writer because Dana isn’t afraid to tell me the truth. As a critiquer, that’s her job. As a writer, it’s my job to make sure she feels confident that I can handle it. The trust goes both ways. I won’t allow her critique to influence our friendship. If I did, she might not be willing to risk losing that friendship, and her critique might not be as honest...she’d start letting little things go. Before I knew it, she’d be cheating, and I would lose her as a critique partner. We all love our stories (well, most of the time) and we all want them to be loved. But if our goal is publication, we have to submit ourselves to more than support and reassurance-- both of which are also equally important-- but that third part, the critical eye, that’s something that’s not only hard to accept, it can be hard to give. It’s just so much easier to only talk about the good parts. You're so right-- it is so much easier to talk about the good stuff, but it is so much more FUN to talk about the stuff that isn't necessarily where it needs to be, exploring characters and plot arcs and etc. Getting into the nitty gritty of the whys and wherefores to figure out not just IF it works, but HOW it works, or doesn't! Cheaters are cheating themselves too! Those kinds of discussion teach both the author AND the CP to be better writers! P.S. if that is now how to spell wherefore, I blame spellcheck (just this once). Natalie, yes, Diana is so trustworthy and that's the most important aspect of picking your CP. Diana - I like the cheating points in your post. If we don't tell each other those little things about the character voice or plots then, then we are cheating our partner out of being something more. THanks for posting on my blog! Hi Amalia! I'm so happy you stopped by! Diana nailed it didn't she? I agree, it's more fun to talk about the not so good stuff because there's nothing more exciting than working out plot points over the phone with Diana and hashing it out until find the direction we needed.